Your weight is an essential factor that greatly affects your general well-being. As such, it should always be in check and closely monitored. However, due to certain day-to-day choices that we make, we tend to forget thinking about controlling body weight. Today, obesity has become a huge concern in all of Australia. According to a report from the Organisation for Economic Co-operation and Development, Australia has become the fourth most obese advanced country in the world. Considering the many health consequences associated with being overweight, the situation has become more alarming and this clearly needs immediate action. 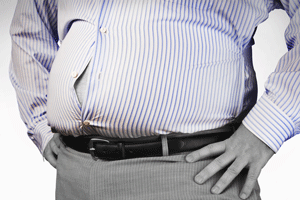 The problem of obesity does not only involve a single underlying cause. Usually, people think that food intake is the actual root of this issue. However, there are quite a number of factors that should be considered when it comes to body weight. Failure to recognise this important information is arguably the main reason why attempts to lose weight have not entirely successful. Knowing that obesity is attributed to a diverse set of factors, it is not enough that we can only address one. Hence, the choice solution for weight problems should be one that aims to address all of these factors. This is where your Gold Coast chiropractor at Hinterland Chiropractic can help you. Your gentle chiropractor in Gold Coast has a holistic approach regarding this matter. Here at Hinterland Chiropractic, we have a set of completely safe and tremendously effective Weight Loss Program to help you reduce your weight. Furthermore, we can also provide you with an extensive Nutritional Counselling so that you can be more aware about the kinds of food that you should have more and those that you should not have anymore. Most importantly, we can provide you with quality Chiropractic Care so that we can get rid of nerve interferences caused by the additional weight and strain on your backbone as well as help improve your status. In addition, chiropractic aims to enhance the overall wellness of your entire body. By eliminating spinal subluxations using gentle chiropractic adjustments, we can help you achieve utmost general well-being. Obesity is a concern that you can deal with. We can help you do so. Your trusted Nerang chiropractor can provide you a guaranteed safe and effective means to lose excess weight and achieve better overall health. Here at Hinterland Chiropractic, it is our sincerest aspiration to guide you towards maintaining a much healthier and more enjoyable life for you and your family. Call us today on (07) 5527 3133 or simply book an appointment online to savour the benefits of chiropractic. At Hinterland Chiropractic, we see to it that we continue to provide a comprehensive lifetime health care for every family in Nerang and other areas on the Gold Coast, as we have done so for the past 20 years.